Personal trainer to the stars and Martial Arts Master Matt Fiddes has one of the most interesting, varied and impressive career history's we've ever encountered here at MuscleFood. He first began training in Martial Arts at just 7 years old having been bullied at school. As soon as he finished his very first class, he was well and truly hooked. He trained hard in Martial Arts and other styles and soon had three black belts to his name. He was inspired by the greats, like Bruce Lee, and his grandfather (8 times Irish weight lifting Champion and 1960 Olympics competitor) to pursue his sport to the highest of heights, and at just 17 years old Matt started the Matt Fiddes Martial Arts School. In just 6 months the school had 600 members and it didn't take long for the A list celebs to come knocking at his door for personal training or protection, a compliment Matt says shocked him as he was only 18 years old at the time! Matt couldn't refuse the requests and he was soon rubbing shoulders with some of the world's elite. The most famous A-list celeb he trained and protected was none other than the late King of Pop – Michael Jackson. To this day Matt speaks extremely fondly of his time as Michael's bodyguard and they remained close friends until the singers untimely death in June 2009. Despite Matt's fame though, he has managed to keep his feet firmly on the ground with his family, Martial Arts School and personal training business taking priority in his life. The school itself now has over 40,000 members and counting and Matt is hoping to reach 1000 schools in just 2 years! Hi Matt, thank you for taking the time to chat to us. To kick things off, you're one of the most respected experts in the Martial Arts world – could you tell us more about how you got into the sport in the first place? I was bullied at school and a friend asked me if I would like to come along to a martial arts class with him. I went along to my first class and was hooked! I was 7 years old then. I then continued to train in other styles and gain 3 black belts in different arts. What inspired you to pursue it to such an advanced level? My late grandfather, Sean Norris, was picked to represent Ireland in the Rome Olympics . He was 8 times Irish weight lifting champion and still holds world records to this day. He used to train me hard! He saw something inside me that reminded him of himself. Then of course Bruce lee! I think every martial artist has been inspired by Bruce in some way. I have always been very ambitious. I wanted to be the biggest and best in the industry. Health and fitness is my life. It's both my personal and professional life combined. My success gives me the financial freedom to do what I want and when I want to do it. Professionally I get to train with and have become friends with some of the worlds best. I am still as hungry as ever to take things to the next level though. For the general public, what advice would you give adults who maybe want to get into martial arts but just don't know how to go about it? I started Matt Fiddes Martial Arts when I was 17 years old and in just 6 months I had 600 members! I then went on to expand through franchising my system of success to over 600 locations. We run classes for people from 3 years to 80 years and we have around 40,000 members right now. It's growing all the time and I am aiming to reach 1000 schools over the next 2 years. Where can people find out more about your Schools? Coming to your training – do you only workout through Martial Arts or do you like weights too? Which do you think has a greater impact in terms of fitness and muscle definition? I do both. I feel they work very well together. I would say I focus more on weight training than martial arts these days, as I have no need to do those crazy kicks all year round! But with weights I can stay in top shape. Weight training keeps you in shape all year and has so many benefits. Although as we all know it's all about the diet. What is your training schedule like at the moment? I train daily, either weights or bag work. I listen to my body and train how I feel what is needed rather than stick to a set routine. I think it's great to keep the body guessing. What do you think is the key to being healthy/fit? Diet and nutrition is the key. You can train as much as you want too but if you eat wrong you wont have the success. As long as you train hard and eat well you can't go wrong! I eat at least 250 grams of protein through 6 meals a day and I have one cheat day a week where I eat what I want as long as I train! I rely mainly on meats and whey based products rather than shakes etc. I like to stick to high quality food over supplements. What impact does nutrition have on your training personally? I have to keep my calories high in order to grow. I understand how my body works now as I have been doing this for a long time! Everyone is different so there is no set rule to success. What's for certain is that you have to keep a very high protein diet and train with intensity. What whole foods could you simply not live without? 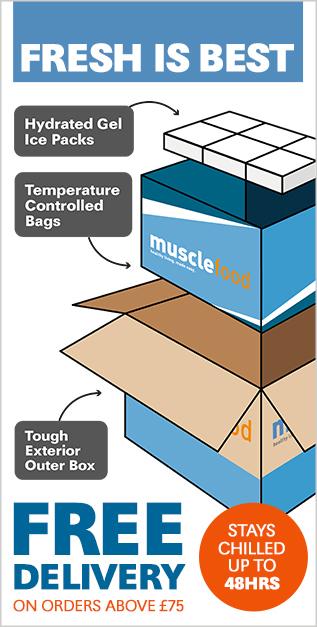 Now, MuscleFood! I like steaks and proper high protein meats. That's where I find I get the best results. OK, so we know you've been the personal trainer to some extremely well known and A list celebrities, what made you go into this line of work? As my profile became high due to my success in martial arts I started to get A list stars call me for help. They wanted to train with me or were looking for protection. It was strange as I was just 18 years old at the time! What's the most common training/nutritional mistake you see people make who are maybe wanting to go through a body transformation? People train for too long in the gym and clearly have no idea what they are doing! And it's sad for me to see a lot of gyms have out of shape instructors these days giving people advice on how to lose weight. 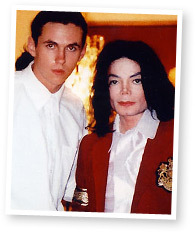 Aside from the personal training, you were also the personal bodyguard to Michael Jackson – what was that like? Mike was a close friend for ten years. I miss him dearly and his lengthy phone calls and motivation. I trained him to a 2nd degree black belt in tae kwon do. Its sad to see the lies wrote about him. He was a true legend and a humble man. like to do to wind down at the end of a long day? I have the odd glass of wine. Normally I read a book or plan the following day. I have a newborn son now who keeps me busy too! So it's always busy in the Fiddes household! I have been offered a few movie roles. I will still expand my franchises and take on more instructors and will keep my celeb clients who I train myself. What's been your greatest sporting achievement to date? 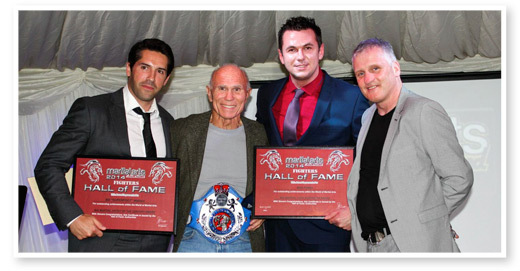 Without the doubt being inducted into the Martial Arts Hall Of Fame at the highest level on the 18th May 2014! I was given the “Martial Arts Superstar Award” along with two movie stars.